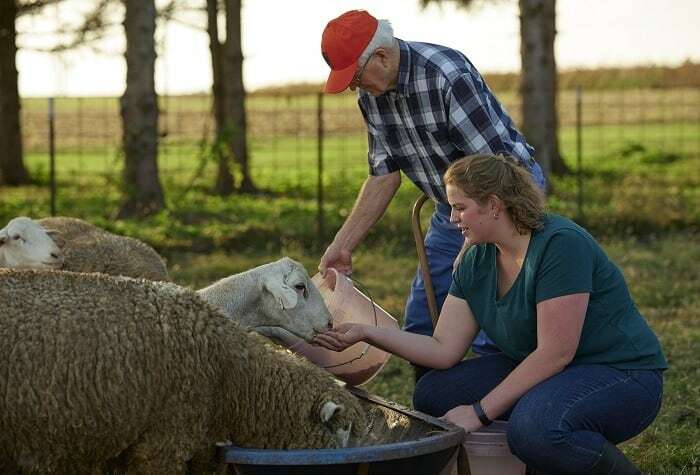 Katharine Girone, the 2018 #RootedinAg Contest winner, spends time with her grandfather and mentor, Kenneth McKee, on their family farm in Varna, Illinois. Starting in March, the entry period for the 2019 #RootedinAg contest* will begin. Please fill in the simple form to receive notifications that will link you directly to our entry page. *No Purchase Necessary to Win. Purchase will not improve chance of winning. See Official Rules for details.